Come along to a clinic on Thursday 16th 6.30-8.00pm, Court 13. Geared up for U12s to Div 4. You don’t need to be a shooter now, but you will be well on your way afterwards. RSVP by Wednesday to coaching.klnetball@gmail.com. Time to give a little bit back. 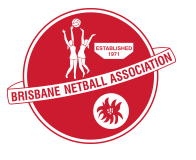 Brisbane Netball need your assistance this Sunday 19th April. Join us at 8am to help give the courts a little tidy up. Shouldn’t take more than an hour. Bring your gardening tools if you can (mowers, whipper snippers, etc). More Info – Rob Woodgate 0423 299 344. If you are U10, keep this Saturday morning free as we have scheduled another KL Allstars round. Games at 9am. More details to come.